Plan with me April 2019! 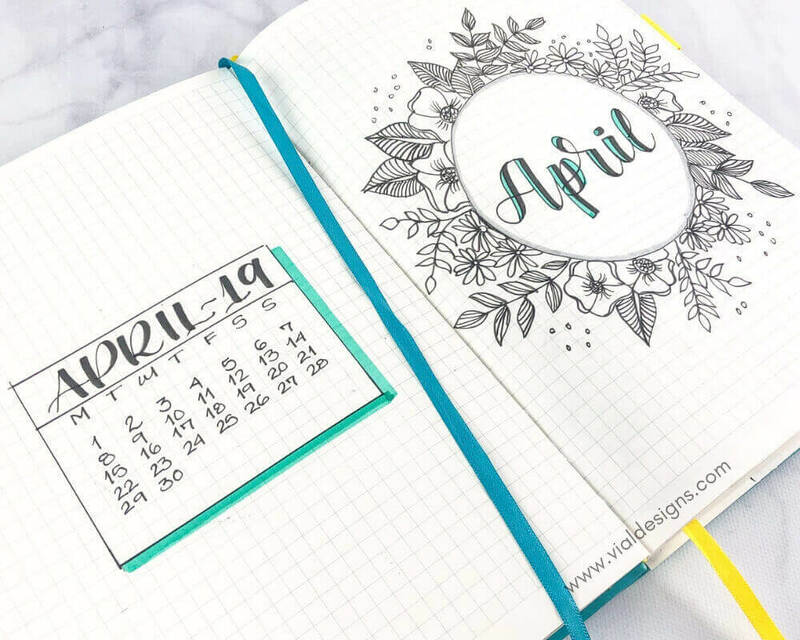 Here is my bullet journal set up for this month, plus you can get access to this month’s FREE bullet journal cover page. 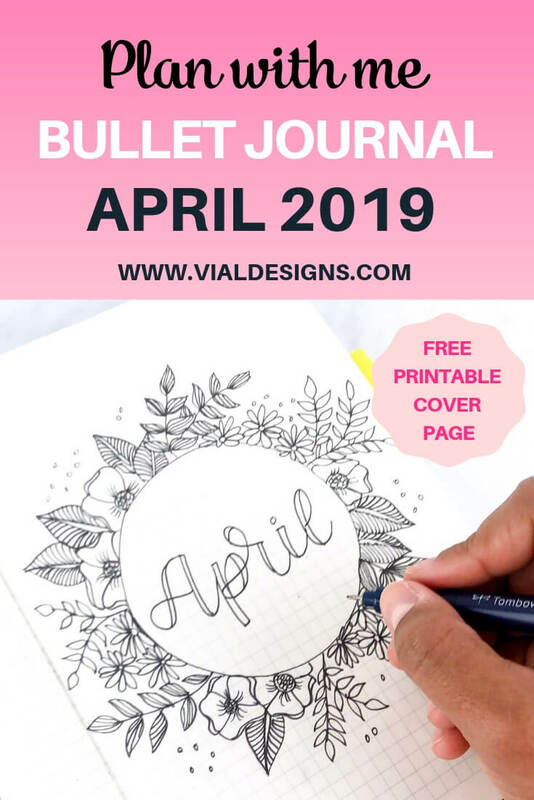 At the end of the blog post, I’ll show you how to get access to the same bullet journal cover page I set up for April 2019! Bullet Journal: Scribbles That Matter. Pens: Tombow Fudenosuke Black from their Fudenosuke Colors set. Tombow MONO drawing pen 03 & 05, Tombow MONO Pencil 2B, Marvin Uchida LePex Flex, Teal. Colored Pens: a light teal pen from a Crayola Supertips 50 pack. Erasers: I used the Tombow MONO eraser. You can use whatever eraser you have handy. I just like these. Compass and ruler from this drawing set. For my cover page this month, I decided to keep doing floral drawings. I love floral doodles, and I’ve decided to keep practicing until I become better at drawing them. Setting up my cover page with floral doodles is a good excuse for me to practice. I’m being creative and enjoying the process of becoming more productive at the same time. I found inspiration for this cover page on Pinterest, and it was Cristina from @my.life.in.a.bullet who did something like this on Instagram. I was going to leave the previous page blank, but then I thought it would be great to have the April’s Calendar for reference. This month I didn’t color the floral doodles, but I did add some color to letters and a drop shadow to the monthly calendar. 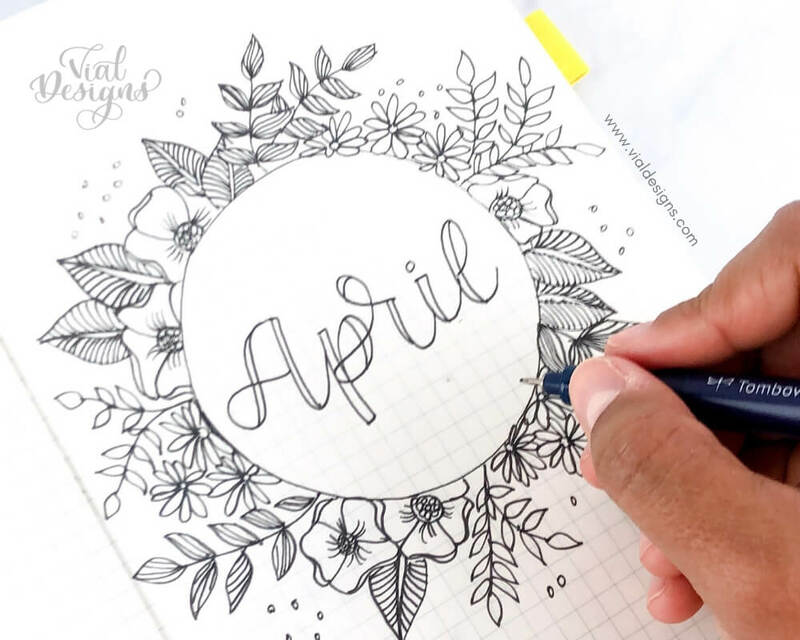 I turned my April Cover Page into a printable for you! 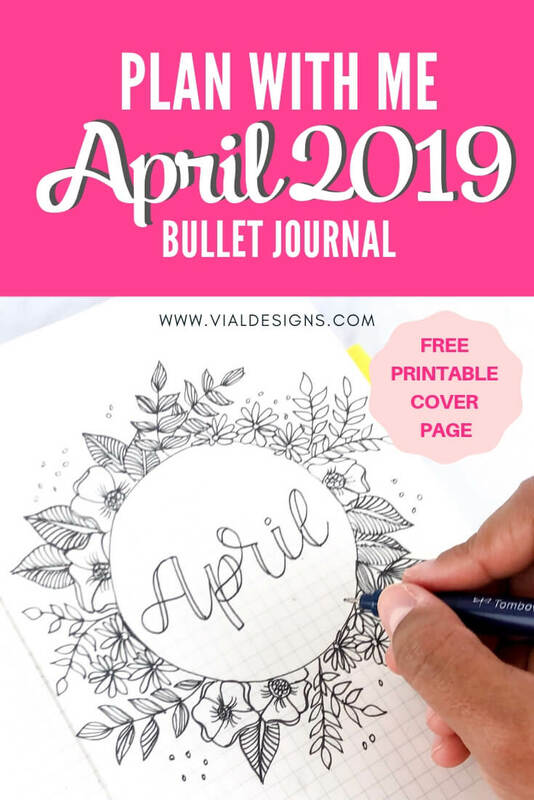 If you want to get access to a copy of this page so you can set up your bullet journal or planner, fill out the form at the bottom of this post to get access to it FREE! 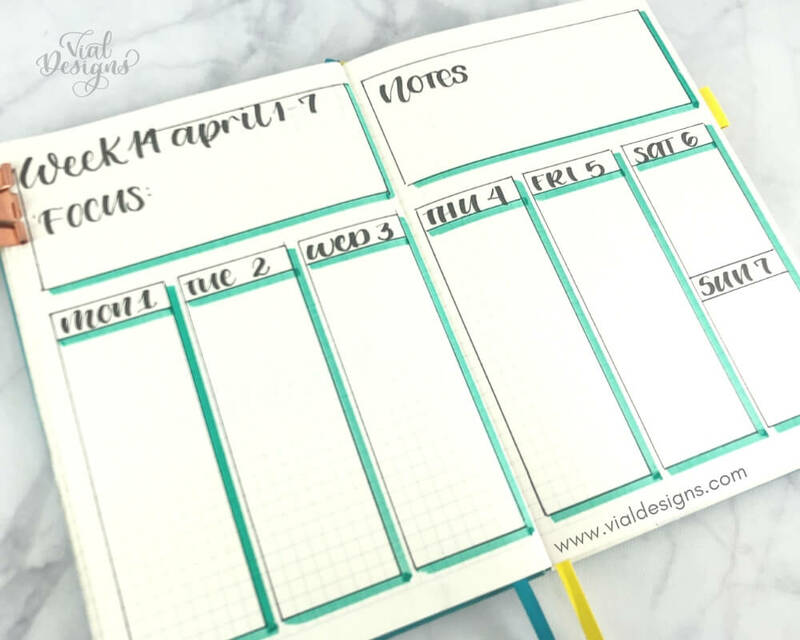 The next pages on my bullet journal April set up are for the monthly calendar and my goals. On the calendar page, I highlight the important dates (birthdays, appointments, etc.). April 30th has its separate box because it’s my wedding anniversary, so this day is extra special! 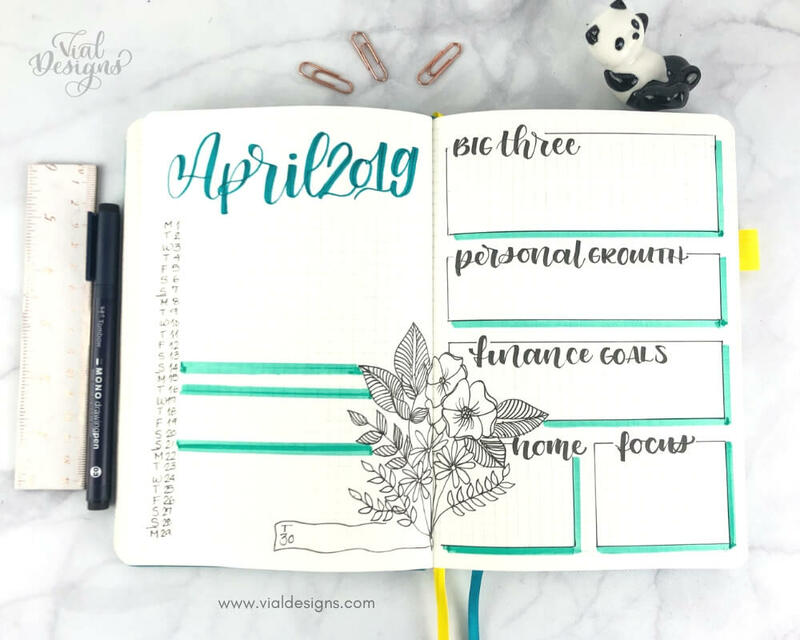 Big Three: Three big goals I’d like to accomplish this month. Personal Growth: This is set up for a personal growth goal, which can be anything from reading a book to reconnect with a relative or friend. Finance Goals: is for anything related to our finances. This one is set up mostly for our family’s savings goals for the month. Home: is for any home improvement goals. Focus: it helps me to add a focus thing for the month, which will be the ONE thing I need to accomplish this month. My “ONE thing” can be about my family, marriage, my fitness, blog, or anything I need to pay extra attention this month. 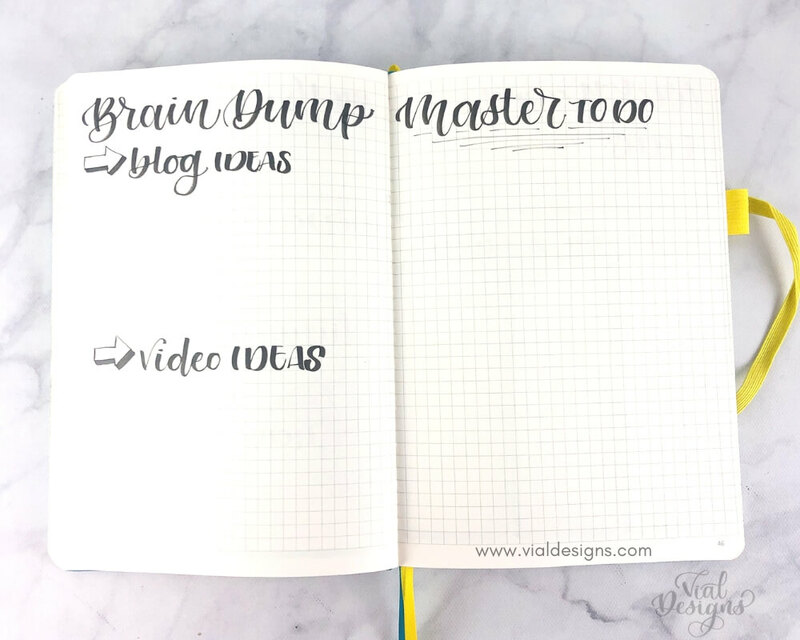 Next, I have a page for Brain Dump, which is all the ideas I have running on my head about my blog and my YouTube channel. Then, I have the Master To Do List, which is sort of like another brain dump, but this is about everything else going on in my life. These pages are an excellent place for me to write everything down. I’ve noticed that the more I write things down the better, because I get those ideas out of my head, into paper, and it helps me to get things done. For my weekly spread this month I decided to keep it simple as I didn’t have too much time to keep playing with drawing florals and wanted to finish setting up my bullet journal for April. At the beginning of my weekly spread, I always like to add a space for my Focus of the week, which is the on one big thing to accomplish in the week. Then each day, I will pick one thing that I need to do so that I can achieve my one big thing of the week, then my one thing for the month and so on. It’s like a domino effect you create to accomplish big goals. The key is to dream big, but start acting small. I began implementing this after I read the book The ONE Thing: The Surprisingly Simple Truth Behind Extraordinary Results. I have to say; I’m super excited about the results I’m already seeing. 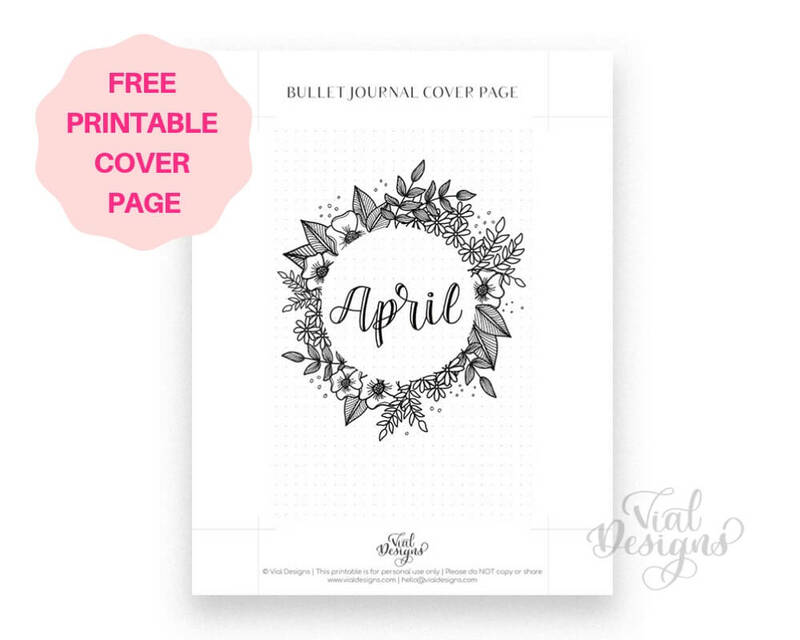 GET ACCESS TO THIS FREE BULLET JOURNAL PRINTABLE COVER PAGE BY FILLING OUT THE FORM BELOW! I hope you find some inspiration from these pages. I’m enjoying this bullet journal system. Bullet Journaling allows me to add as much or as little planning pages to accommodate my needs. You can do the same thing, and that’s the great thing about this system. You can adjust it to your specific needs and what works for you. Want to get started with calligraphy or practice a little more to improve your skills? 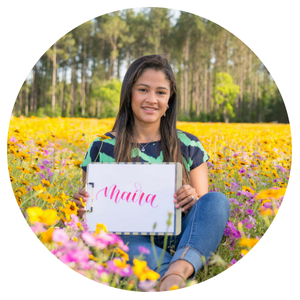 Check these blog posts (they all include FREE calligraphy worksheets) You can also get access to the calligraphy worksheets from my Resource Library by filling out the form below. Faux Calligraphy Tutorials: lower case, uppercase, numbers, and symbols. WANT TO REMEMBER THIS FOR LATER? 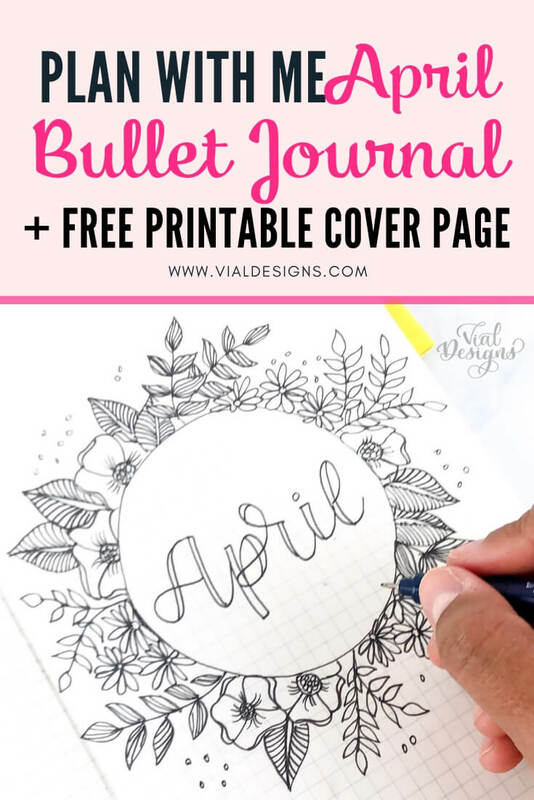 SAVE THIS TO YOUR FAVORITE BULLET JOURNAL PINTEREST BOARD!